Press TV is a 24-hour English- and French-language news and documentary network affiliated with Islamic Republic of Iran Broadcasting (IRIB). Press TV is headquartered in Tehran and is extensively networked with bureaus in the world's most strategic cities. The service is aimed at the overseas market, similar to DD India, WION, BBC World News, DW, France 24 and RT. Al-Alam is an Arabic news channel broadcasting from Iran and owned by the state-owned media corporation Islamic Republic of Iran Broadcasting (IRIB). The media of Syria consists primarily of television, radio, Internet, film and print. 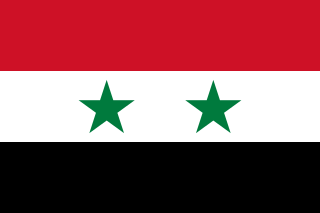 The national language of Syria is Arabic but some publications and broadcasts are also available in English and French. While television is the most popular medium in Syria, the Internet has become a widely utilized vehicle to disseminate content. Transcending all available media, the government seeks to control what Syrians see by restricting coverage from outside sources. Publications and broadcasts are monitored by members of the government. Syria is ranked as one of the most dangerous places in the world for journalists. There were 28 journalists killed in combat in 2012. Since the start of the Syrian Civil War, all sides have used social media to try to discredit their opponents by using negative terms such as 'Syrian regime', 'armed gangs/terrorists', 'Syrian government/US State Department propaganda', 'biased', 'US/Western/foreign involvement'. According to the Stockholm International Peace Research Institute, given the complexity of the Syrian conflict, media bias in reporting remains a key challenge, plaguing the collection of useful data and misinforming researchers and policymakers regarding the actual events taking place. The Siege of Homs was a military confrontation between the Syrian military and the Syrian opposition in the city of Homs as a part of the Syrian Civil War. The siege lasted three years from May 2011 to May 2014, and resulted in an opposition withdrawal from the city. The following is a timeline of the Syrian Civil War from May to August 2012. The majority of death tolls reported for each day comes from the Local Coordination Committees, an opposition activist group based in Syria, and the Syrian Observatory for Human Rights, another opposition group based in London. Syrian News Channel, also known as alikhbaria Syria or Al-Ikhbariyah Syria is a state-run television station based in Damascus, Syria, launched in December 15, 2010. The network is known to be loyal to the government of Syrian President Bashar al-Assad. The Channel is headed by Imad Sara. Human rights violations during the Syrian civil war have been numerous and serious, with United Nations reports stating that the war has been "characterized by a complete lack of adherence to the norms of international law" by the warring parties who have "caused civilians immeasurable suffering". The Battle of Damascus, also known as Operation Damascus Volcano, started on 15 July 2012 during the Syrian Civil War. It is unclear who started the battle. Thousands of rebels infiltrated Damascus from the surrounding countryside. Following this, according to some reports, the opposition forces launched an operation to capture the capital, while according to other reports, the military learned of the large-scale rebel operation beforehand and made a preemptive strike. Some reports even suggested the rebels launched the operation prematurely due to their plans being discovered by the security forces. The Rif Dimashq offensive was a Syrian Army offensive in the Rif Dimashq Governorate during August–October 2012, as part of the Syrian Civil War. The Darayya massacre was a reported massacre that happenened between 20 and 25 August 2012 in the town of Darayya in the Rif Dimashq province of Syria, during the Syrian civil war. The Battle of Yarmouk Camp was a period of fierce clashes in Yarmouk Camp during the Syrian Civil War. Yarmouk is a district of Damascus that is home to the biggest community of Palestinian refugees in Syria. The fighting was between the Syrian Army and PFLP-GC on one side, and Syrian rebels on the other. The rebels included the Free Syrian Army (FSA) and a group made up of Palestinians, called Liwa al-Asifa or Storm Brigade. On 17 December, it was reported that the FSA and anti-Assad Palestinians had taken control of the camp. The FSA and Syrian Army agreed to leave Yarmouk as a neutral, demilitarized zone, but sporadic clashes continued. The Battle of Darayya was fought from the end of 2012 to the beginning of 2013 between the Syrian Army and the Syrian rebels in the Damascus suburbs of Darayya. The Battle of Jdaidet al-Fadl was a battle during the Syrian civil war, during which the Syrian Army took control of Jdaidet al-Fadl and Artouz and was accused by opposition sources of conducting a massacre of up to 500 people. The Syrian Army, for its part, accused rebels of killing supporters of the government. The Rif Dimashq offensive was a Syrian government forces and allies offensive in the Rif Dimashq Governorate, that was launched in mid-September 2013, as part of the Syrian Civil War. 1 2 3 "Iranian TV Reporter Killed on Air by Rebel Sniper in Damascus". Al-Manar. 26 September 2012. Retrieved 26 September 2012. ↑ "Press TV correspondent killed in Syrian capital". Press TV. 26 September 2012. Retrieved 26 September 2012.